Known around the greater Los Angeles area as a trusted, reputable moving company which excels in customer service, Acclaimed Movers and Storage has been providing top quality moving services to Southern California for nearly a decade. We understand that our customers aren't just looking for a good price, but courtesy and professionalism as well. Moving is a stressful endeavor, and we strive to create a bond of trust with each and every customer so they know their belongings will be kept safe when put in our care. We supply the services and all packing materials necessary for every type of move, be it local or long distance, commercial or residential. Acclaimed Movers and Storage is renowned for providing a top quality moving experience to every customer, no matter how great or small the move. That starts with our movers, who operate our fleet of eco-friendly trucks that provide the greatest amount of space for your belongings. The environment and taking care of our planet means a lot to us here at Acclaimed, which is why we choose to operate a fleet of “green” trucks which run on bio-diesel fuel. Making this small change enables us to reduce our carbon footprint in a world growing more and more polluted with every passing day. In addition to the choice of fuel in our trucks, we use only soy-based ink for all our in-office printing needs. When you choose to do business with Acclaimed Movers and Storage, you are not only choosing a professional, stress-free moving experience, but you’re doing business with a company dedicated to being gentle to our planet. In addition to being eco-friendly, every truck in our fleet is equipped with a global positioning system (or GPS). This addition of this technology to every truck operated by our movers means that a customer is able to track their household goods with a few clicks, easing the anxiety of moving from one place to another. Choosing to use Acclaimed for your move means that you'll be getting a full service moving company with a team of well-trained, full-time movers as well as a knowledgeable staff of employees available to answer any questions you might have before, during, or after your move. Using our trucks means you'll be saving on the gas you'd use traveling back and forth between your new and old home or office. Choosing our moving company means that you will be relocated in just one trip by a group of trained professionals, providing you a stress-free experience. We offer a free, no-obligation quote determined by a trained, professional representative. That means a "Not to Exceed" price that can be broken down so you'll know exactly where your money is going and won't have to worry about any surprise add-on fees. Contact Us today to find out what we can do for you. Our moving trucks operate on bio-diesel fuel, which lowers our carbon footprint and provides a "green" moving experience. They're each equipped with a GPS unit for to-the-minute update during each move. Our movers are trained and equipped to pack and wrap all of your belongings with the greatest amount of care, so that each items arrives safely at your new home or office. They're provided state of the art, industry-leading equipment to enhance the quality of every move, and they take the care to cover every floor, wall, corner, and stairwell passed during the loading and unloading process. 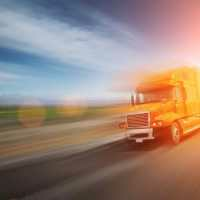 Our trucks proudly bear the name of our company, which has an A rating with the Better Business Bureau and is registered as a licensed and insured moving company with the Federal Motor Carrier Safety Administration. I just wanted to get a few things out of storage, so I called Acclaimed and rented a small moving truck. I have to say, they were pretty decently priced. I got a few friends and let them help load everything, and within couple of hours I was back home unloading everything. They have moving trucks of all shapes and sizes, so I highly recommend if you want one at a decent price. Acclaimed Movers and Storage has one of the best line of moving trucks in California! They have high end trucks ready to go at a very reasonable price. I used one of their trucks to move some of my things out of storage and into my home. This honestly has to be one of the cheapest truck rentals around! If you're looking for a moving truck near you, look no further than Acclaimed Movers and Storage!